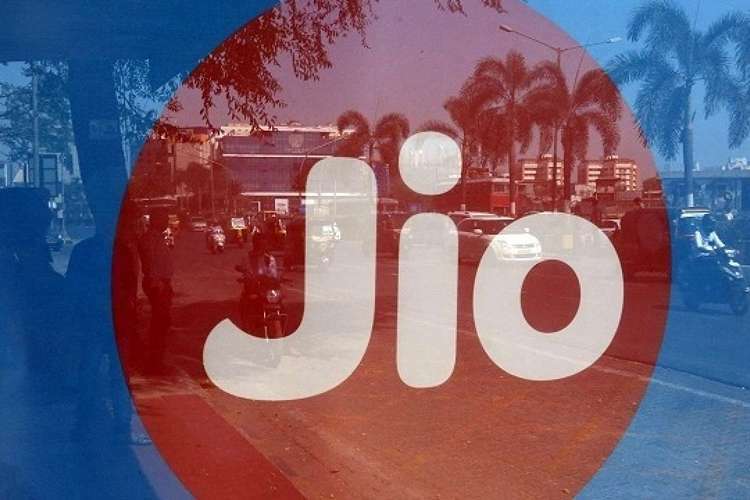 Jio’s train of subscriber growth continued to pick up the pace in September as rival operators lost millions of subscribers, says the latest Telecom Subscription Data report published by the Telecom Regulatory Authority of India (TRAI). As of September 30 this year, Reliance Jio commanded a market share of 21.57% after adding over 13 million new subscribers in a month, while rival telecom operators continued their downward spiral. With the exception of Reliance Jio, all major private and PSU service providers lost subscribers in September, but Reliance Jio’s astounding growth made sure that the industry-wide subscriber count recorded a growth of around 2.3 million in a month. As per TRAI’s report, Reliance Jio added an impressive 13.02 million new subscribers between August 18th and September 18th, eclipsing Idea and Vodafone and taking Jio’s net market share to 21.57%, falling only short of Airtel. Idea lost the maximum number of subscribers in that span with the company’s subscriber count decreasing by 4.06 million, while Airtel and Vodafone lost 2.35 million and 2.62 million subscribers respectively. In terms of net market share, Airtel still remains the leader of the Indian telecom industry with a market share of 29.38%, while Reliance Jio takes the second spot with 21.57% share of the market. Vodafone and Idea are neck-to-neck with 18.97% and 18.23% market share, while BSNL rounds off the top five list with 9.67% share of the market. With Vodafone and Idea set to merge soon, that list will change. 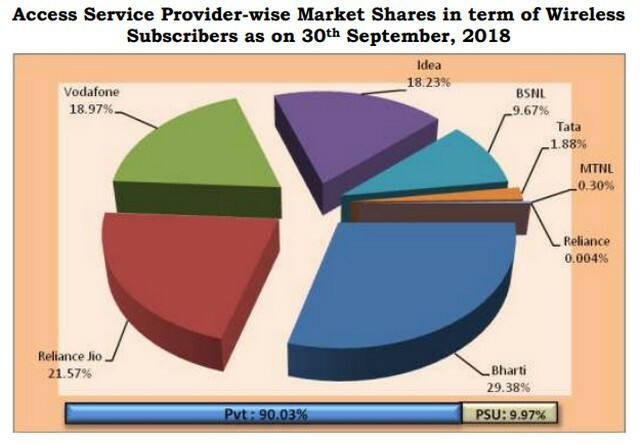 Talking about the huge gap in the subscriber count of privately-run and government-owned telecom operators, private service providers command a hefty 90.03% share of the Indian telecom market while BSNL and MTNL collectively account for a meager 9.97% of the market share. 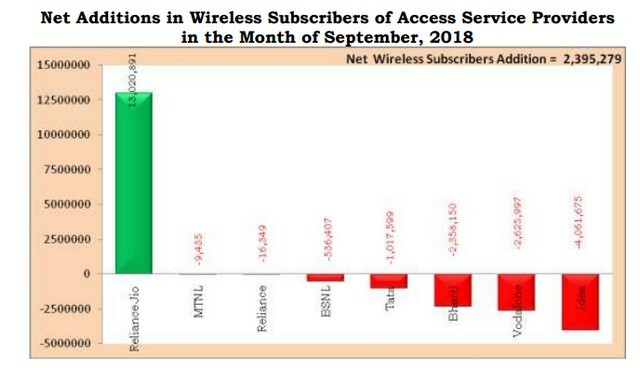 Overall, the total number of wireless subscribers in the country went up from 1.167 billion in August to 1.169 billion in September, which amounts to a growth of 0.21% on a monthly basis.